Thankfully, Deploystudio has a REST API which can be used. -Have a script grab the serial of the mac and look through Deploystudio database for a record,if that record exists, the computer name and hostname will be updated with a new generated name based on a designed convention along with other informations should we find the need for and if the record doesn’t exist, it will be created. I have put together a couple of scripts, that about handles everything in one go. 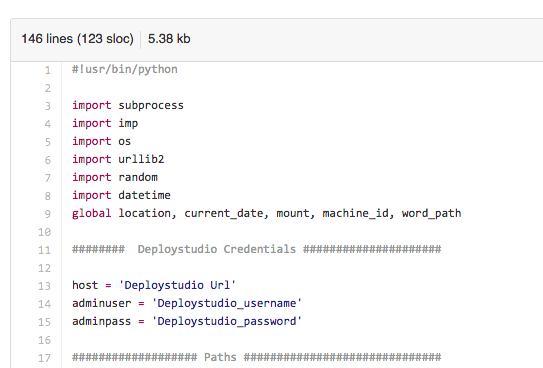 While on the Deploystudio Server, Download my scripts from my Repo and keep them together. I would recommend opening up a Terminal window and navigating to the Repo. 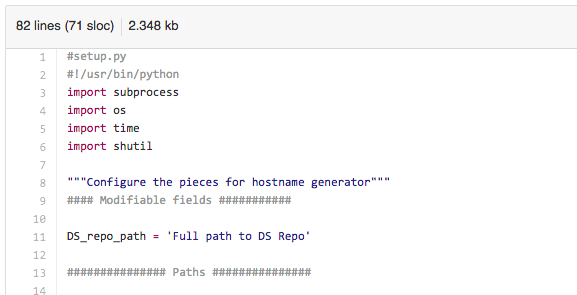 Set DS_repo_path to your DS Repo path (Replace the contents of ” with your path) and save the file. It will returned the version of git you are running or if you are not, Launch a Menu to install it. 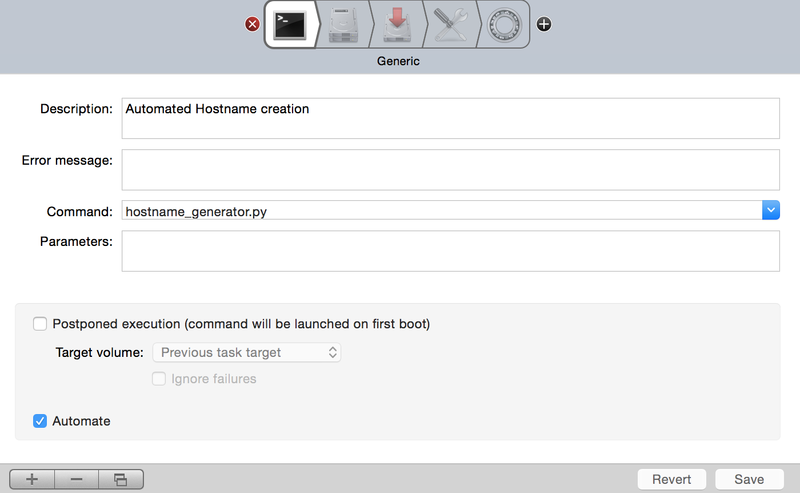 Once completed, Launch Deploystudio Admin and confirm the presence of hostname_generator.py in your Scripts section. Now we add hostname_generator.py to a workflow; it needs to be before the Configure task since we want to update the database prior to configuring the settings. Also setup the script with Postpone uncheck and automate check as we want to make sure the database is updated on the first go and unattended. That’s it…. We are done, netboot a mac and test out your new workflow. Pingback: Automate naming computers in Deploystudio | Dinesh Ram Kali.